Many software and hardware businesses, particularly smaller ones, are religiously focused on a specific vertical market and don’t think to spin off technology for other purposes. As well they should; focus is one of the most important attributes that can bring a business from startup to a strong growing business. This is often one of the key areas I concentrate on with many of my consulting clients. Many businesses just can’t turn down any sort of deal, no matter what the effect it has on their existing product development plans or other key corporate initiatives. But there is another side to the focus issue. Many software and hardware companies have developed excellent, mature technology bases at huge expense. If that basic technology has a horizontal appeal, it can be quite profitable to spend a modest amount of additional effort to spin off technology of this type to other adjacent markets that the company is currently not serving. As an example, maybe you have an ERP software package aimed at retail markets. It might be quite easy to customize the product for other inventory-oriented businesses, such as distribution or service/repair businesses. By doing this you’ve created a potentially large new revenue source at a fraction what building that product from scratch might cost. The trick in this instance is often marketing the product effectively–read below for a couple of ideas on how to accomplish that without doubling your marketing budget. Private labeling or OEMing your product to another vendor can be an excellent way to extend your product development ROI. It might be as simple as partnering with a non-competitive vendor who takes your existing product “as is” or with minor modifications, as well as changing the product identity and labeling. The target partner would be a company who is very strong in a market segment that you aren’t successful in or have no interest in directly marketing in, or doing so is simply is beyond your resource level. This is a great approach to profitably spin off technology because if done well, it’s a win-win for both companies. 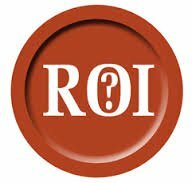 Your company gets additional revenues with little to no additional costs (“pure profit”), while your partner gains additional revenue in it’s home market–without any product development investment. One of the best things a software vendor can do is to create a “developer’s version” of it’s product, which essentially consists of creating APIs (application programming interface) for the software. This allows easy integration with complementary software applications and even hardware. Back when I was CEO of a mapping software company with limited resources, we created a developer’s version which enabled both integration and bundling with a number of complementary applications, notably in the real estate and CRM segments. Once again, this tactic required only modest product development investment and enabled us to draw revenue from a number of different markets. We would never have had the resources to pursue these markets if we tried to build a brand new, market segment-customized product from scratch as a company would traditionally do. Using my favorite mapping software company example, we were often forced to think creatively to wring out as much revenue as we could from our existing technology. One of the other tactics we used was “de-feature” our existing $99 high-end consumer application to create a $9.95 version, which we then sold through mass market retailers of all kinds. Not only did this create more revenue, but this high volume business also created a bunch of opportunities to upgrade these entry-level customers to our higher-end core products. This is the type of strategy I’ve used many times; you almost can’t go wrong when creating a larger customer base for your technology. It tends to create many more opportunities that come to you, just from your enhanced marketplace profile. I use the simplistic phrase “the more you sell, the more you sell” to illustrate the advantages of this scale-building approach to marketing. At that very same mapping software company we used one other great approach to extending our technology: creating a B2B version of our consumer product which was aimed at road warriors such as sales and service professionals (the converse strategy works just as well). The B2B version had a few additional features (as well as an API for integration) and we sold it via different channels and strategic partners. It didn’t have the unit volume of the consumer version, but the price and margin was much higher. So there are a few ideas on how to extend the use of your expensive-to-build IP using the strategic concept of spin off technology to increase your overall ROI. What are your ideas on creatively utilizing existing assets to create additional growth? Please post a comment with your own thoughts and experiences so we can all benefit. All great points to consider when planning product extensions. – each time you add a new dimension you’ll exponentially add to these complexities. One of the major problems large software vendors face is they have accumulated a huge debt with legacy versions of their products.